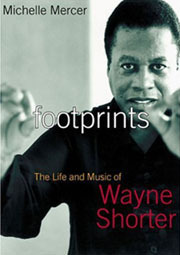 In 1970, what other jazz musician had Wayne Shorter’s pedigree? Right after being handpicked by Art Blakey he was tabbed by Miles Davis, who only needed a sure-thing replacement for John Coltrane. 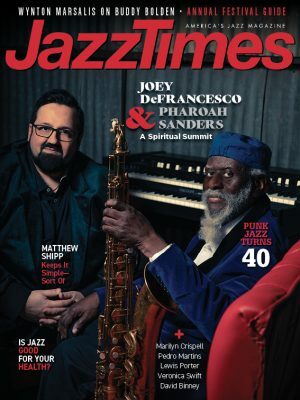 Both iconic bandleaders embraced Shorter as a player and musical director, and the saxophonist still had enough creative energy left to produce a string of celebrated recordings for Blue Note. Jazz was ready for Shorter; instead, his star seemed to fade even as the superstar 1970s fusion group he co-led, Weather Report, began to shine. But Shorter’s critical and popular profile rebounded sharply recently when he began performing acoustic jazz. Author Michelle Mercer chose this auspicious moment to investigate the Buddhist, science-fiction loving, self-effacing Shorter as he toured with his new quartet and planned his first acoustic record in several decades. Her sympathetic biography lets the famously distant Shorter recount his time with Blakey, Davis, Joe Zawinul and others and also detail his changing feelings toward his past and present work and his family life. It also focuses in large part on the Weather Report years and beyond, for those looking for answers to the question posed above. Mercer keeps critical interjections to a minimum – a good thing since she tends to err on the side of overpraise and favors tidy, oversimplified explanations. She also helps balance the book by including comments from Shorter’s peers, who offer some of the book’s most trenchant insights.